I sat down to read a chapter of this book and wound up reading the entirety in one sitting. I do not do that often, and even less frequently with works of literature. It’s short, beautifully written and characterized, and has a wonderful flow and pacing. There’s a whole pile of things I could focus on in it. What I was most surprised by, though, is how much it parallels current fanfiction tropes and structure. We don’t have to argue over whether this book is fanfiction, right? Sure, it’s a feminist deconstruction of Jane Eyre, and the author is clearly trying to deal with some of the more problematic elements of that novel (most especially the misogynistic bits and characters), but there’s still a definite undertone of affection for the source material. 1. Angst: Boy howdy does this book revel in the angst. Between Antoinette and Rochester, who both equally feel themselves victimized by the world, we’re pretty much swimming in deep angry hate-fire and sadness and self-loathing. I would argue that Antoinette’s is much more justified than Rochester’s, but that’s obvious, right? 2. Exploration of a relationship from the source material: In this case, a canon relationship, although fanfic is usually a made-up, or “fanon,” ship. We only get the essentials of Rochester and Antoinette’s relationship in Jane Eyre (she was hot and rich and he was dumb and young and they got married and then hated each other), but this novel explores much more deeply their feelings for each other (which are very strong even when they’re not love), how they treat each other and manipulate each other and try to control the other. IT’S REALLY FASCINATING AND I LOVE IT. 3. Expanding on backstory for canonical characters: See also above. But learning about Antoinette’s family history (especially in regards to slavery and the culture clashes on the island) and especially about her mother brought a whole new level to Jane Eyre. Antoinette’s mom’s story actually made me more upset than Antoinette’s, and that’s saying something. I had a lot of feels. 4. Gives you feels: See 1-3. 5. Ignores the primary, heterosexual relationship of the source material: This book doesn’t care a whit for Jane. Granted, Jane is present only in tiny bits of this book, but she isn’t even treated as a real obstacle for Antoinette. Rochester is her enemy, and Jane’s experiences are trivial. 7. Critiques the original characters/source material while still showing their good parts and highlighting why they’ve lasted: See above points about Jane and Jane Eyre. 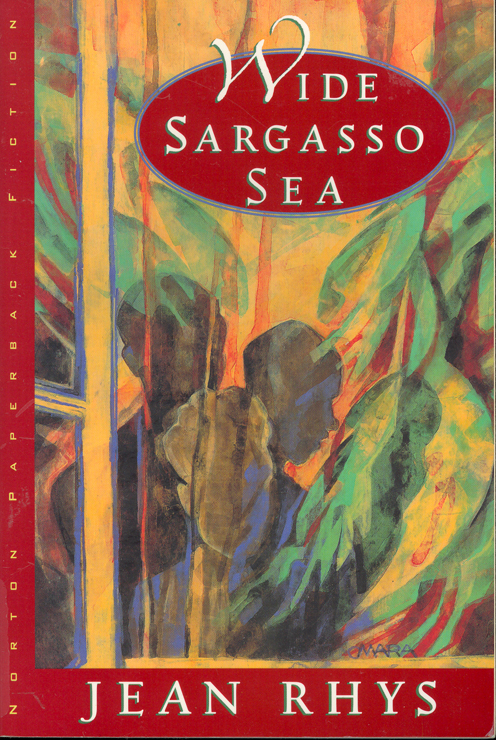 Wide Sargasso Sea is more diversely-casted and gives more agency to its female characters, even while making the original characters like Jane, Rochester, and “Bertha” even more complex, while pointing back to their fundamental traits and the core story that has captivated readers for so long. This is a fascinating post! I remember you telling me about it in new york (makes me want to buy school supplies), but there were even more points. This comment is so useful. Um. I like you and your brain.